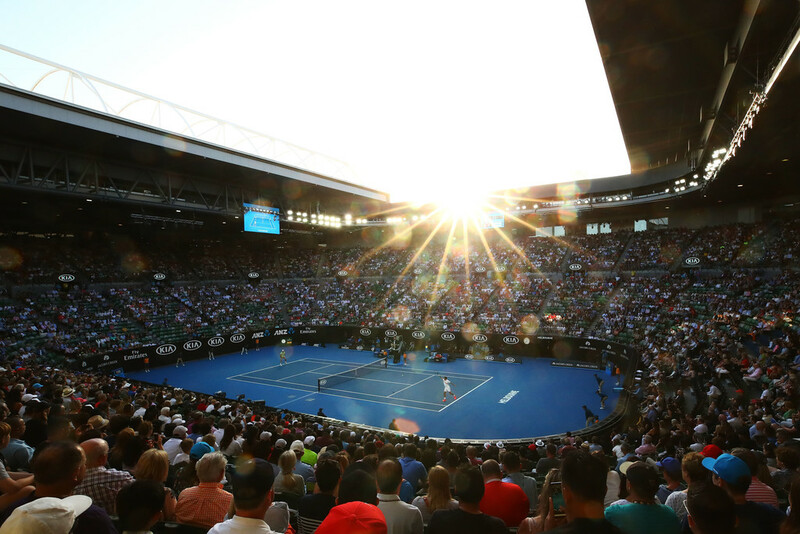 Roger Federer continued his pursuit of a 20th Grand Slam championship crown on Wednesday night when he booked his place in the Australian Open semi-finals. 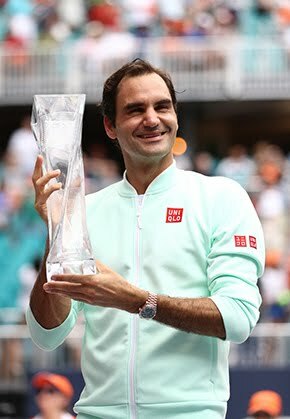 The Swiss superstar, bidding to retain his crown and lift a sixth trophy at Melbourne Park, fought back from Tomas Berdych’s promising start to record a 7-6 (1), 6-3, 6-4 victory on Rod Laver Arena. Berdych, the No. 19 seed, took a 3-0 lead and missed out on two set point opportunities at 5-3 and 6-5 in the first set, only for Federer to apply the pressure and regain control of the pair’s 26th ATP Head to Head meeting. Federer now leads 20-6. "I hung around, got a bit lucky, a bit angry, a frustrated, maybe at the umpire, but I actually thought the call was good anyway," Federer told Jim Courier, during an on-court interview. "I was just frustrated and a bit antsy. I'm happy I got out of that first set. It ended up being key to the match. Tomas was great." The 36-year-old Federer, who is through to his 14th Australian Open semi-final, is the oldest player to reach that stage since Australian all-time great Ken Rosewall (42 years, 68 days) in January 1977. "It was a good start," said Berdych. "I had good chances, a couple set points. Then I think he just got more confident after he saved the first set. Then it was very difficult with him again. After having been basically a whole set down, it gives you a big boost. Especially with him, I think it was just the deciding thing. I mean, everything is 'if'. But winning a first set would be completely different story." Second seed Federer, who beat Rafael Nadal in last year’s final, will next challenge South Korea’s Hyeon Chung, the 21-year-old Next Gen ATP Finals champion. Chung reached his first major championship semi-final with a straight sets victory over American Tennys Sandgren earlier in the day. Federer and World No. 58 Chung have never met before. "I've never played Chung or Kyle Edmund so it's great to see new names on the scene," said Federer, during his on-court interview. "The way both of them made it to the semis is highly impressive. The Chung-Djokovic match was the match I watched the most. Chung is very talented. He's clearly got nothing to lose. I will tell myself the same, and we'll see what happens." Later, during his press conference, Federer admitted, "'I'm very excited to play Chung. I thought he played an incredible match against Novak. I mean, to beat Novak here is one of the tough things to do, I believe... To bounce back from a Novak match and just somehow get it done today, this afternoon, that's tough. That shows that he's had good composure, a great mindset... I think it's an interesting match for me. I'll definitely have to look into how I need to play against him because he has some great qualities, especially defensively." 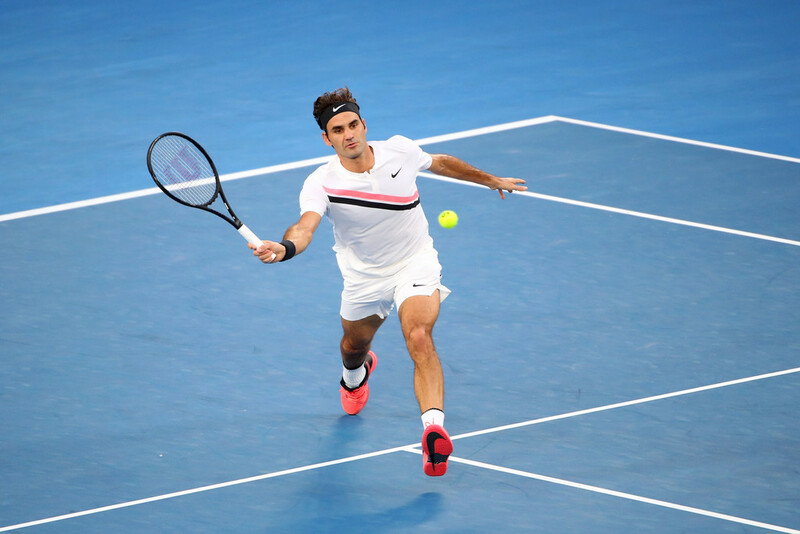 With his ninth straight win over Berdych, Federer improved to 92-13 at Melbourne Park and will now prepare for a record 43rd major semi-final on Friday night. 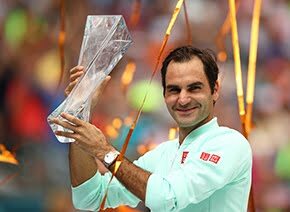 Should Federer retain the Australian Open crown he will move to within 155 points of his great Spanish rival, Nadal, who is currently No. 1 in the ATP Rankings. Berdych started aggressively to win the first three games, and didn’t put a foot wrong until the ninth game. But as the Czech served for the first set at 5-3, Federer appeared to be rattled, yet was subtly able to raise his game. The pressure began to tell and Berdych lost three of his first four service points, but recovered only to squander a set point chance. Federer broke on his fourth break point, then, when serving in the next game, made a subtle change of pace on a forehand at 30/40. Berdych’s eyes lit up. Needing to generate pace, the Czech struck a backhand long and a second set point opportunity disappeared. Federer refocused in the tie-break to win the first three points and clinched the 60-minute opener with a sliced backhand drop shot winner. Overall, Federer lost just three of his first-service points (25/28) and hit 24 winners in the set. Berdych, contesting the 200th Grand Slam championship match of his career, gave himself an opportunity in the third game of the second set, when Federer was serving at 30/40. But the Swiss star, with improved court position, remained aggressive and ripped a backhand winner down the line. As the set wore on, Federer pounced, coming to the net to strike a backhand body shot at 4-3, with Berdych serving at 15/40. Federer soon calmly held to 15 to remain on course for his ninth straight victory over Berdych. The writing appeared to be on the wall for Berdych when a Hawk-Eye challenge on break point at 1-1, went Federer’s way. Federer gave a wry smile as the big screen showed the ball had clipped the line by a small margin. But credit to Berdych, the 2014 and 2015 semi-finalist, when he broke back immediately with a return winner. Federer subsequently raised his game once more with a third successive service break, after a backhand winner. From that moment on, Federer lost only one point in his next three service games. He has yet to lose a set at this year's championship.